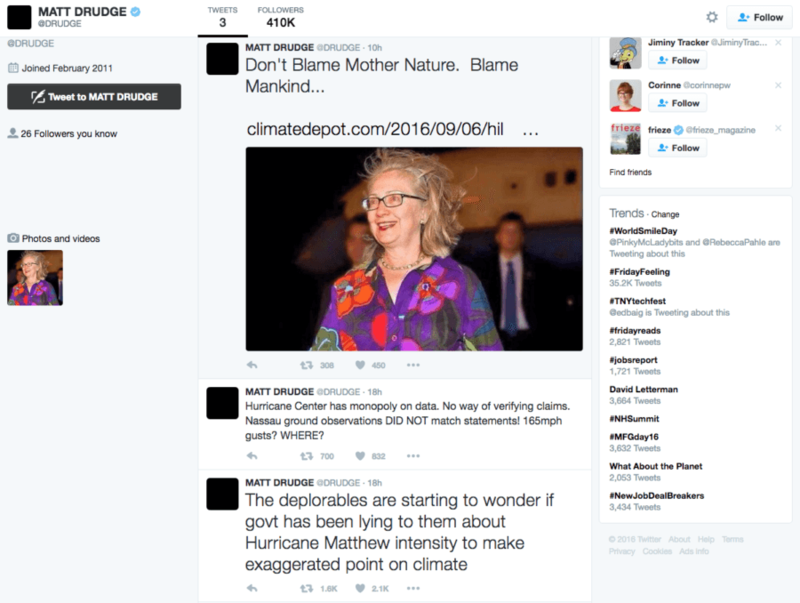 Matt Drudge has taken to Twitter, alleging that liberals have exaggerated Hurricane Matthew to push their climate change agenda. 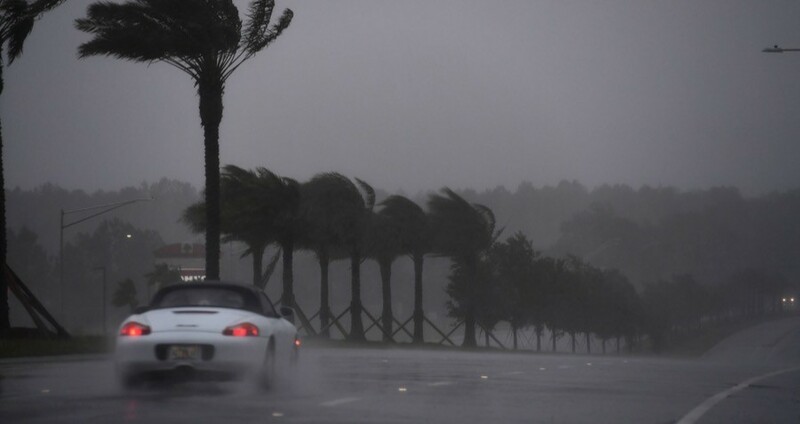 JEWEL SAMAD/AFP/Getty ImagesHurricane Matthew strikes Atlantic Beach, Florida on October 7. Former telemarketer Matt Drudge, owner of the massively popular (at least among Donald Trump’s “deplorables”) online aggregator, The Drudge Report, has been alleging on Twitter that Hurricane Matthew is a liberal conspiracy designed to trick voters into imagining a link between climate change and hurricanes. For example, Drudge deleted an earlier tweet that read, “Direct eyewall hit for Freeport in next hour. Will ground observations match the Hurricane’s claimed 140 mph sustained winds?” Drudge then replaced this with a link to an article theorizing that Hillary Clinton was using recent hurricanes as a climate change-related talking point. Drudge’s tweets have since faced criticism in that they might convince certain conservatives to ignore the official warnings to flee zones marked for evacuation. Indeed, the danger of a category four hurricane such as Matthew cannot be understated. In the words of Florida Governor Rick Scott, a storm like Hurricane Matthew “can kill you.” And in anticipation of the damage, President Obama declared a State of Emergency in Florida this past Thursday. Next, see what New Orleans looks like ten years after Hurricane Katrina, before checking out how Brooklyn has recovered since Hurricane Sandy.